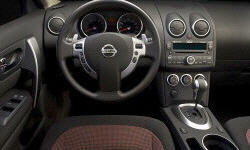 Why the 2008 Nissan Rogue? 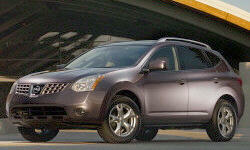 Why Not the 2008 Nissan Rogue? Got the Rogue instead of a Murano, based on reviews and mileage...maybe something wrong but gettting terrible mileage avg just under 20 combined with lots of hwy driving..will wait till 100K probably then do a full head to toe...dealersaid they found nothing wrong-hmpf! This could be under exterior I suppose, but no secure/locking gas door like on my older altima...otherwise it's a semi-narrow cute ute, roof slope definitely takes away from cargo capacity, and think I'd like the toyota full sz spare, but not a biggie...not sure where to put this: but sunroof is quite small.